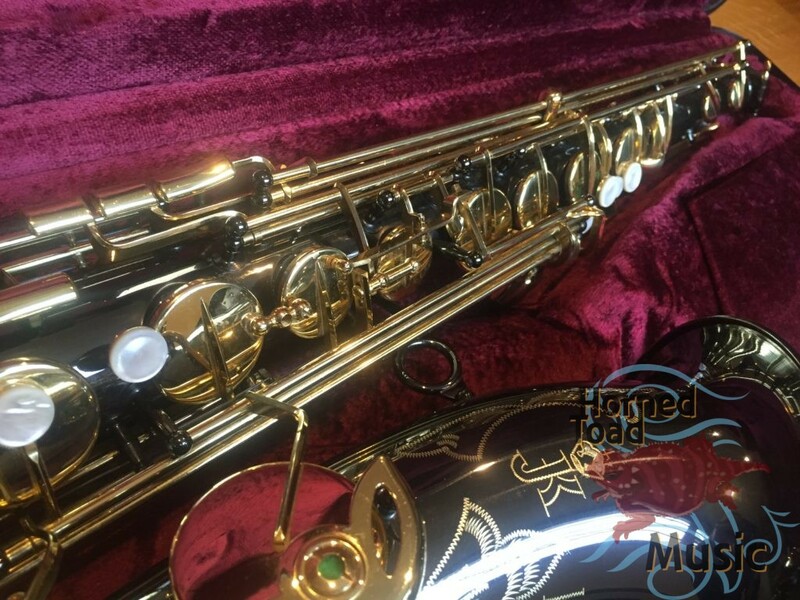 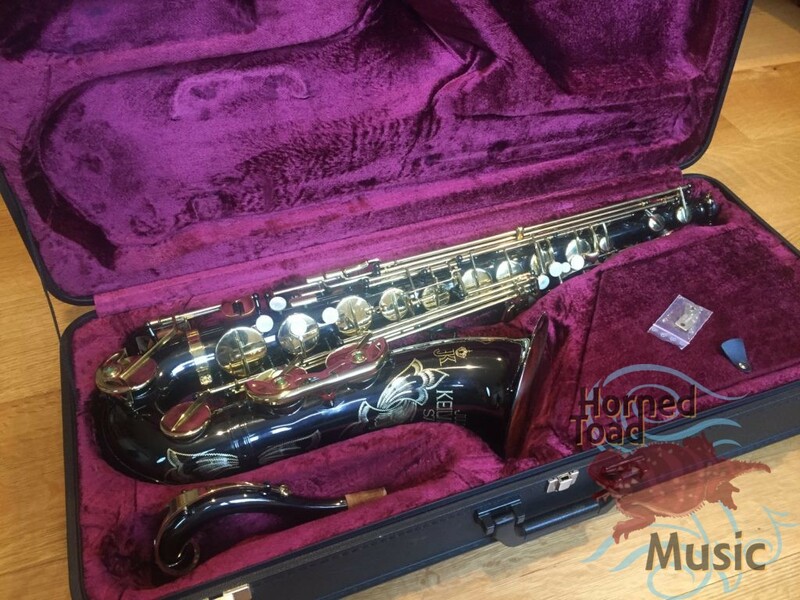 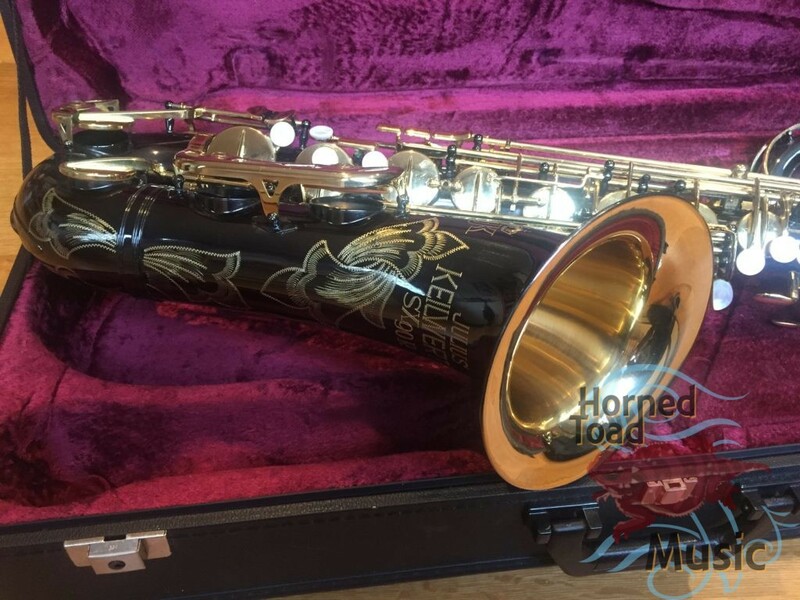 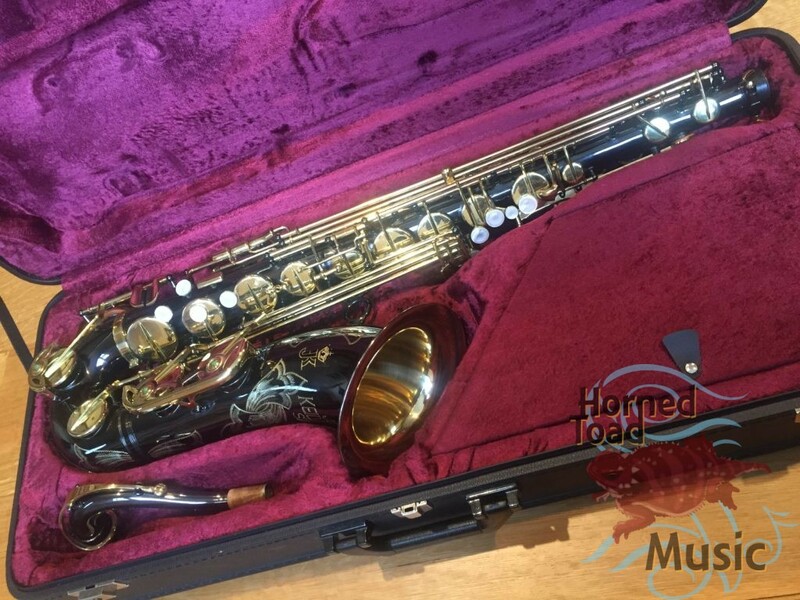 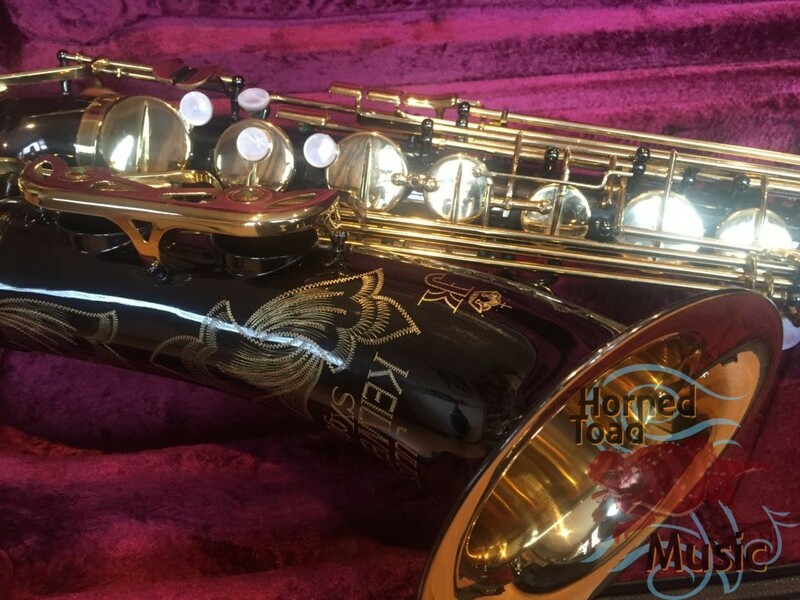 Keilwerth SX90R Black & Gold Tenor, Early Model Big Bell! 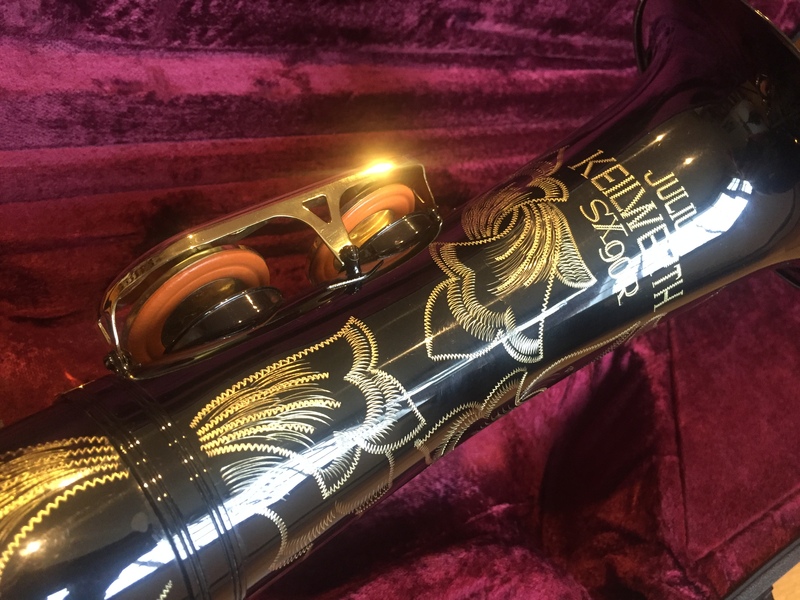 This is a stunningly beautiful and well preserved early Keilwerth SX90R from the mid 1990’s. 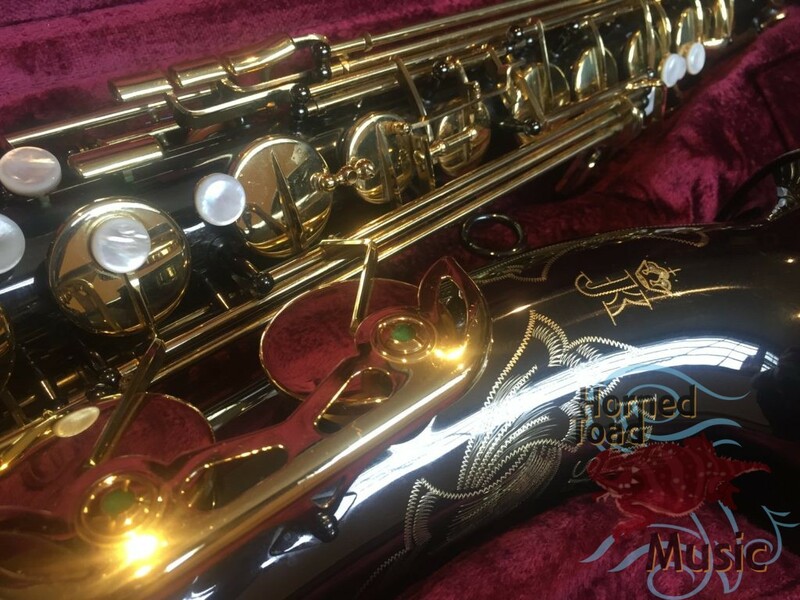 This of course in black anodized nickel and gold keys, rolled tone holes and metal resonators. 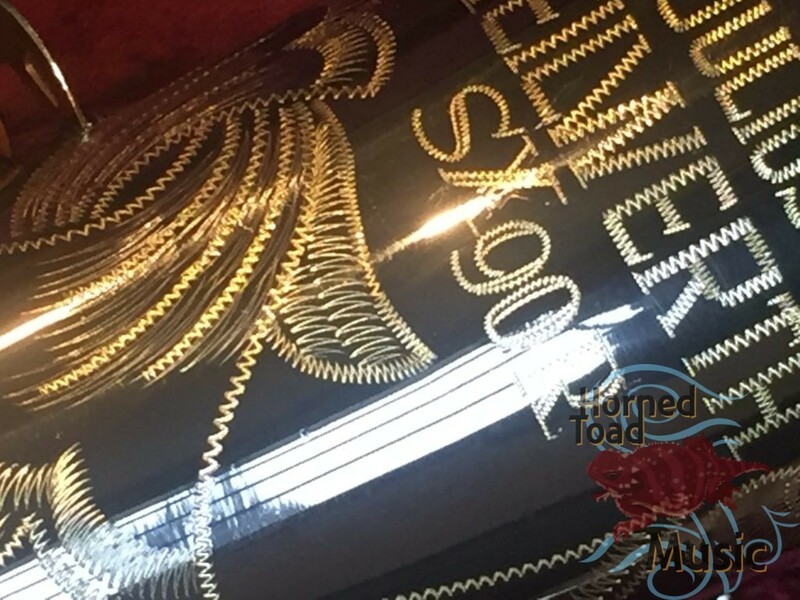 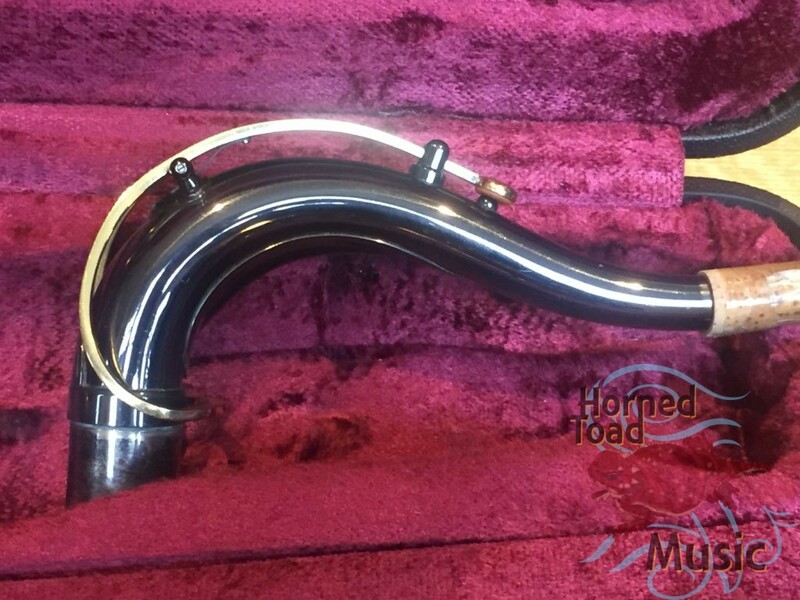 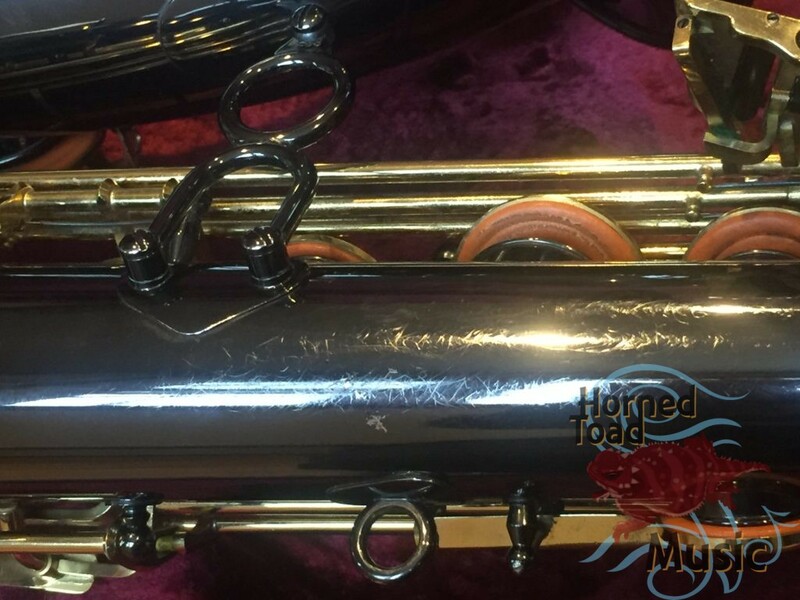 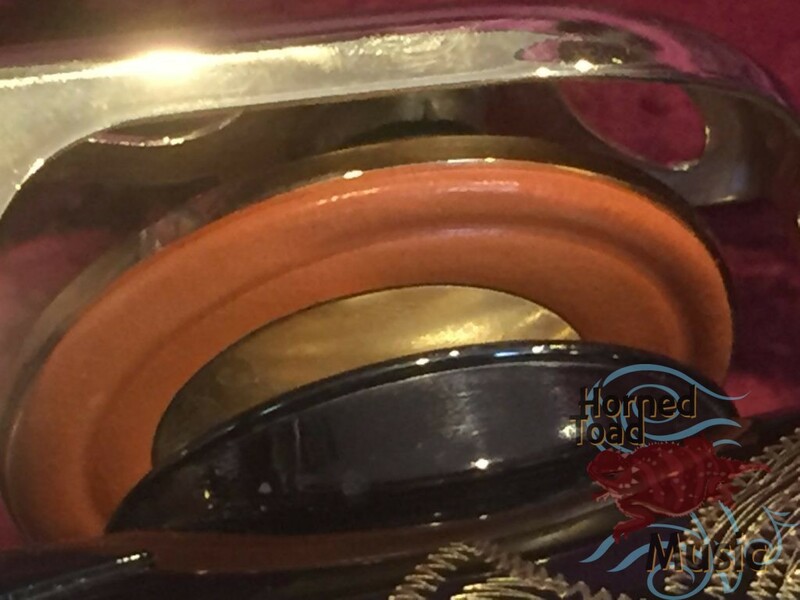 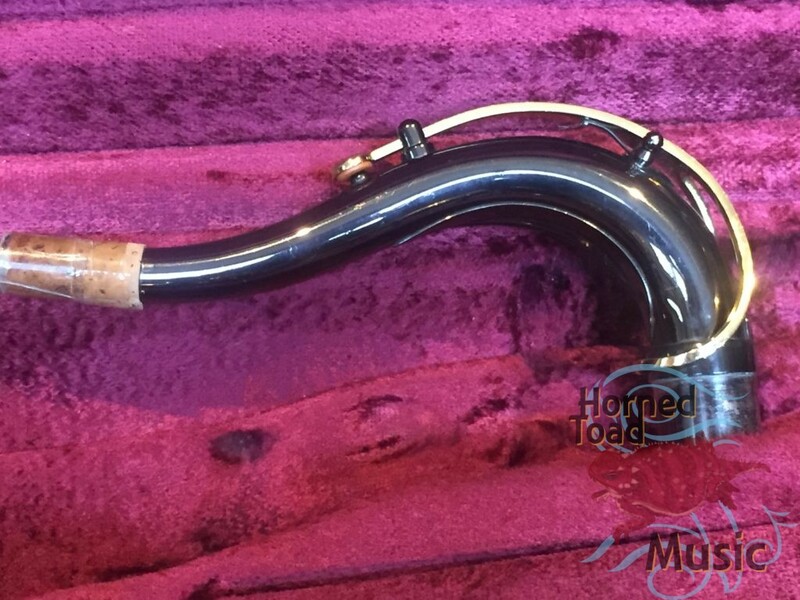 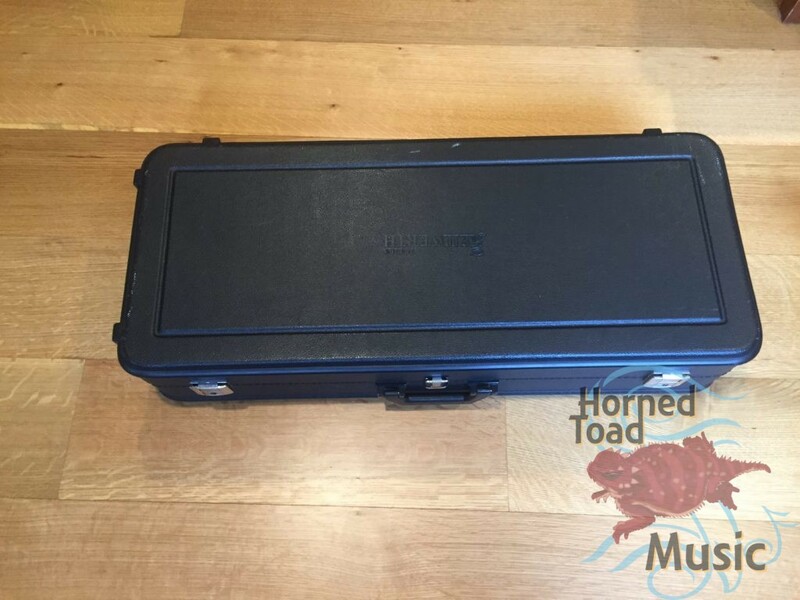 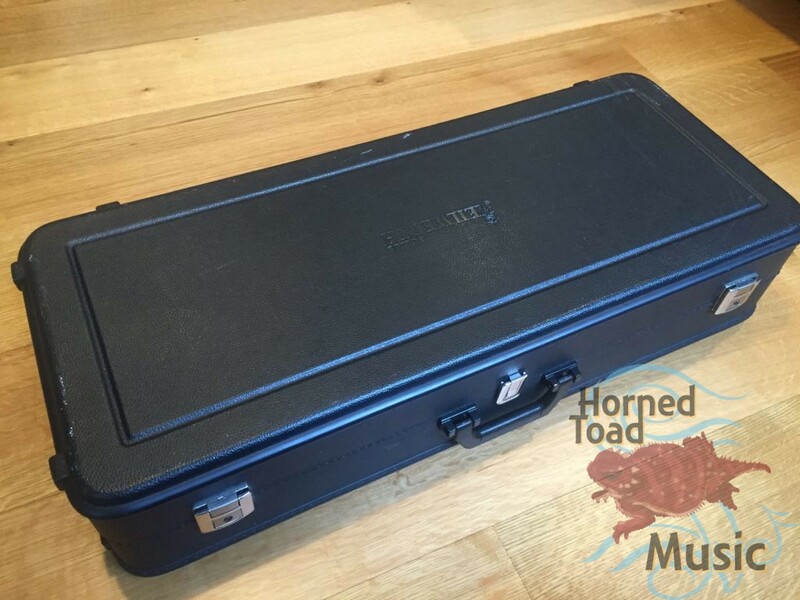 This horn is is quite excellent condition, no dents, not bent. 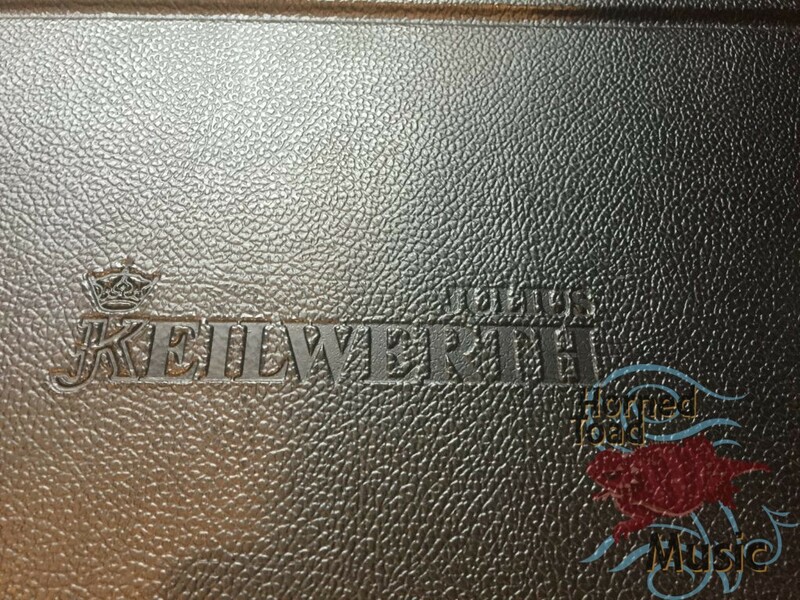 very nice pads and excellent playing condition. 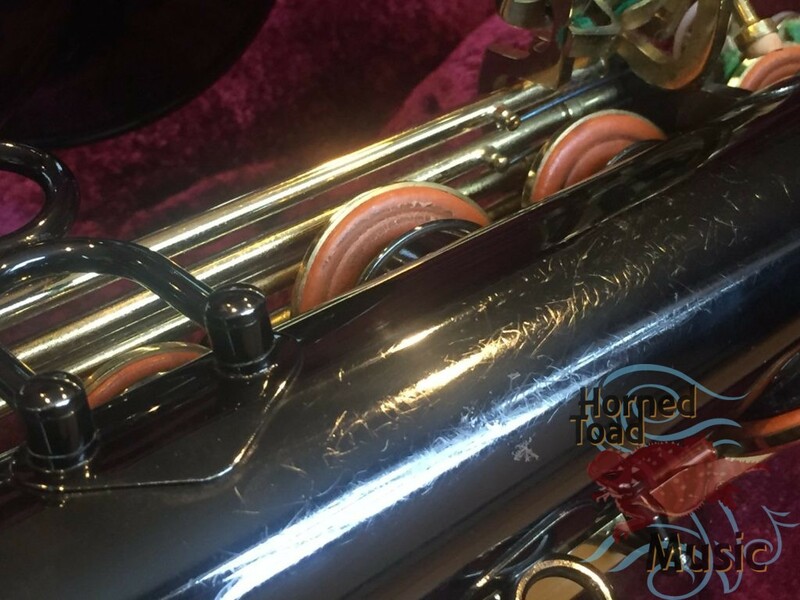 It is close to brand new horn with the exception of a few scratches near the strap area. 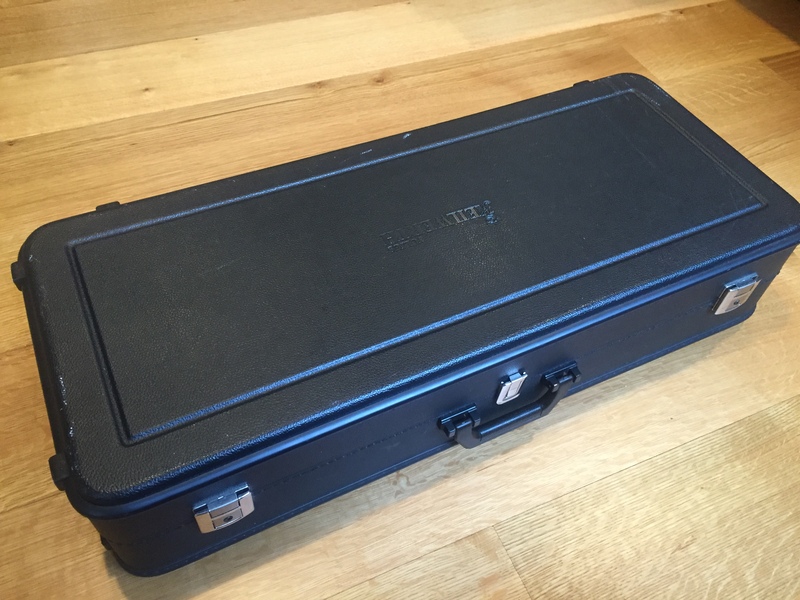 It has its original case with keys as well. 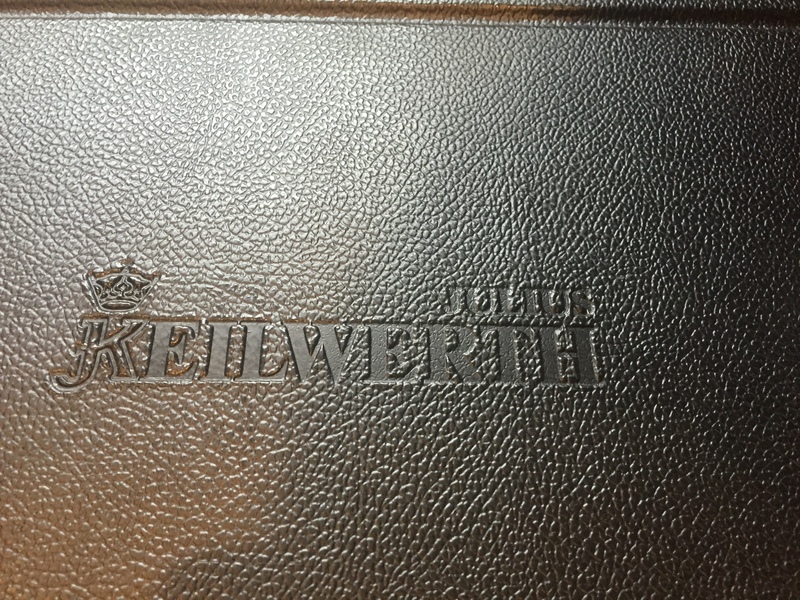 The sound is very loud and big with the specific Keilwerth tonal color, very colorful and has plenty of bright without being shrill. 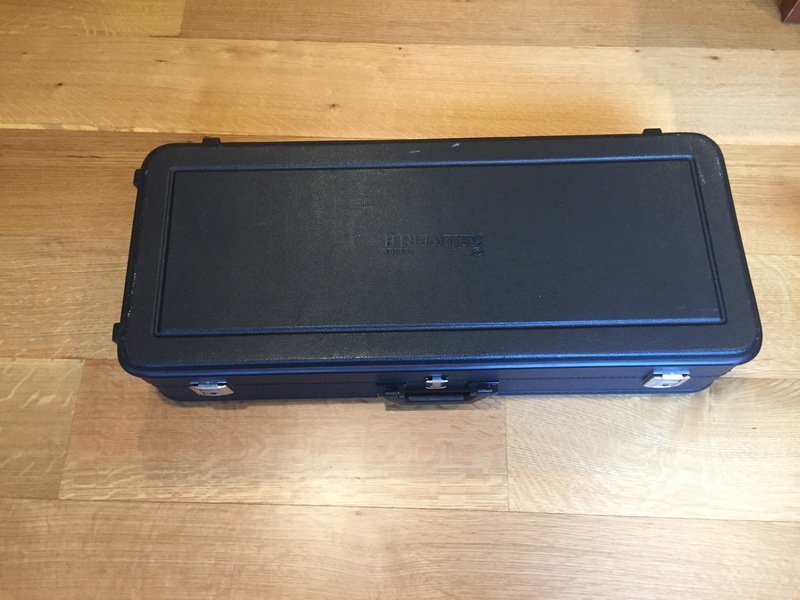 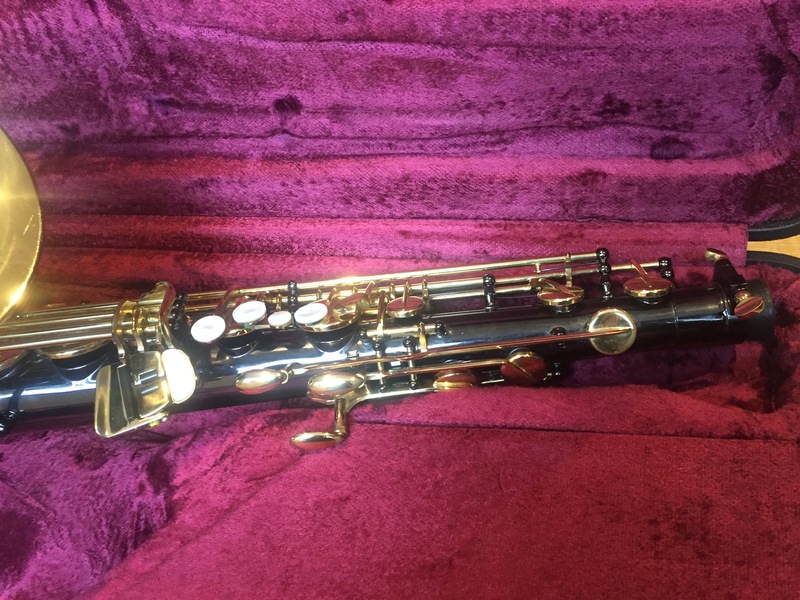 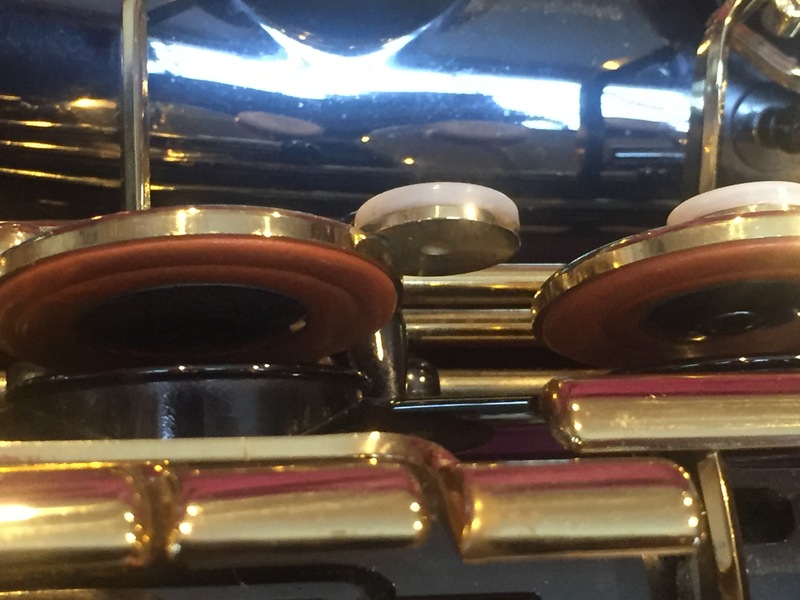 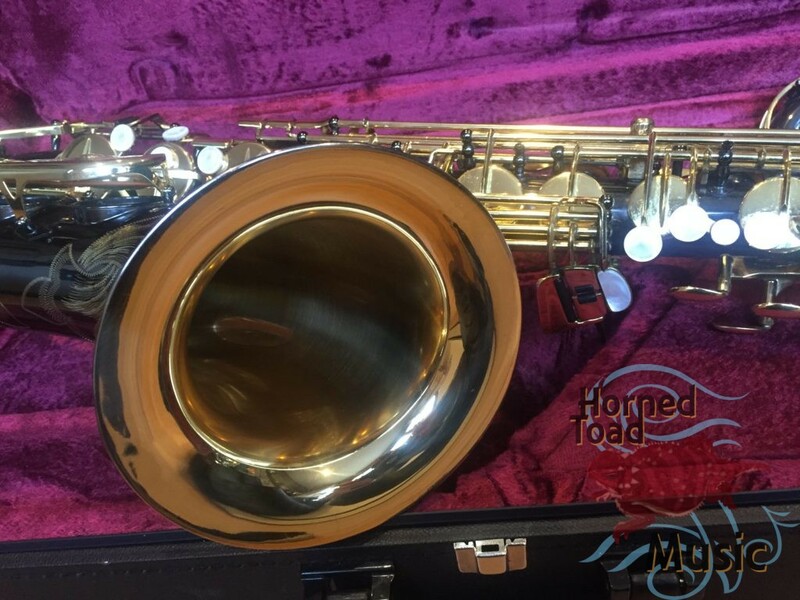 I cannot say it is dark, but it is also not specifically bright, probably its core feels brighter than an old Selmer, but again it is not a shrill or thin sounding horn at all, quite a large sound. The action is excellent and very comfortable. 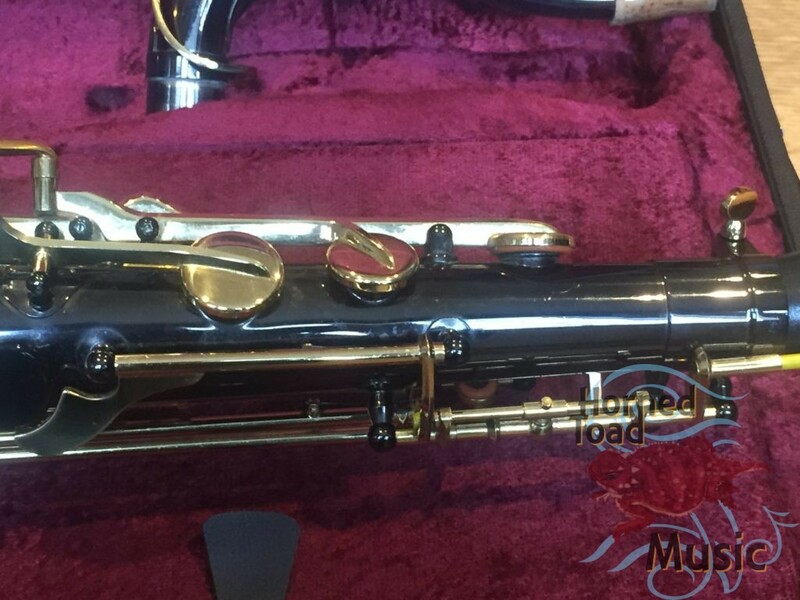 It may need a new neck cork if your mouthpiece has a large diameter, someone’s left a bit of tape on there. 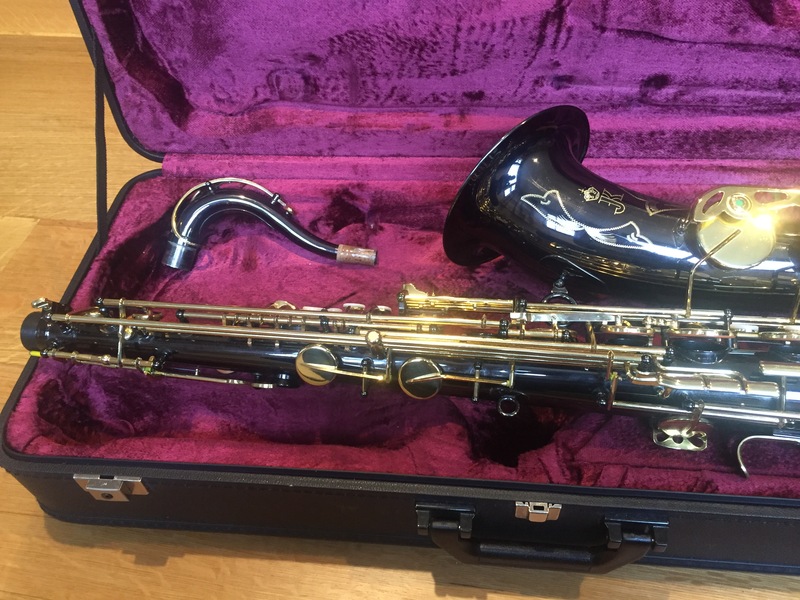 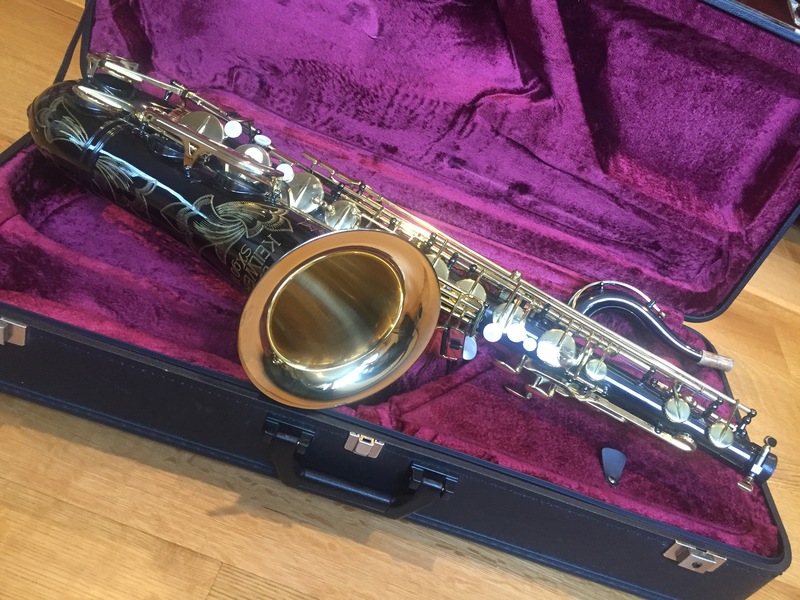 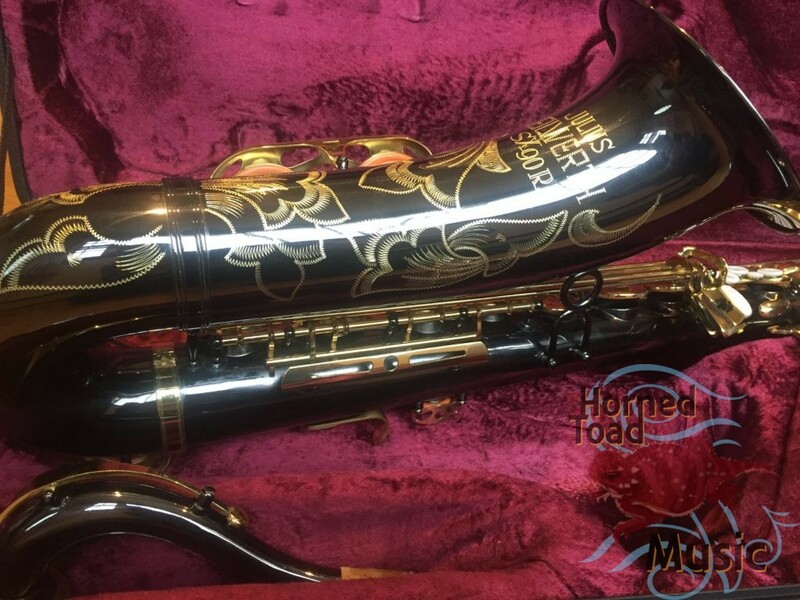 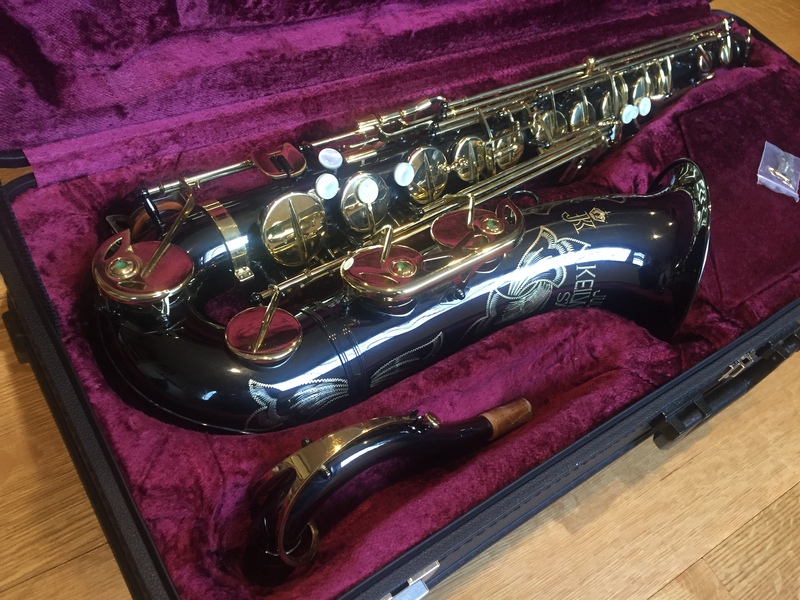 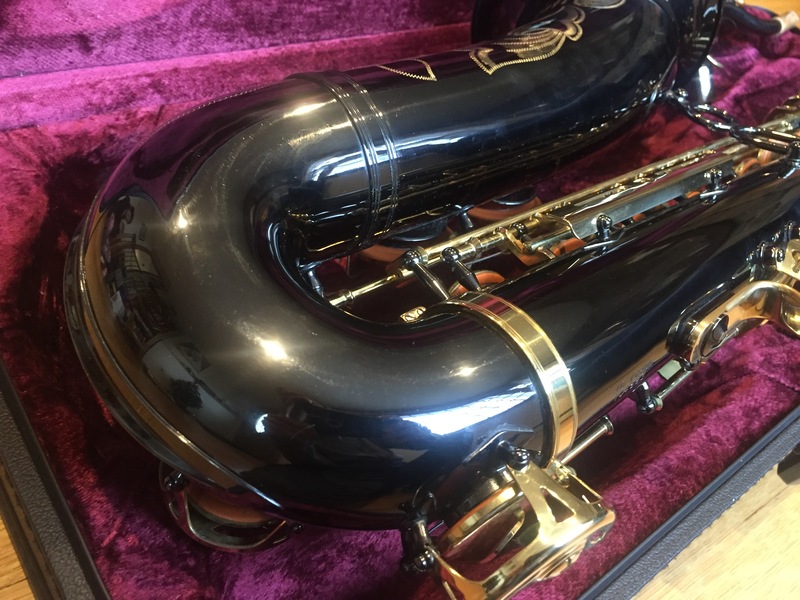 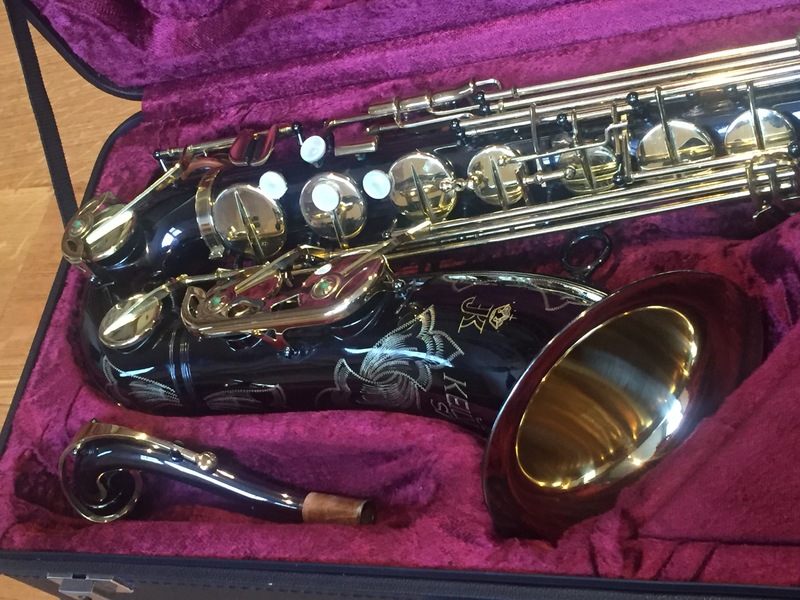 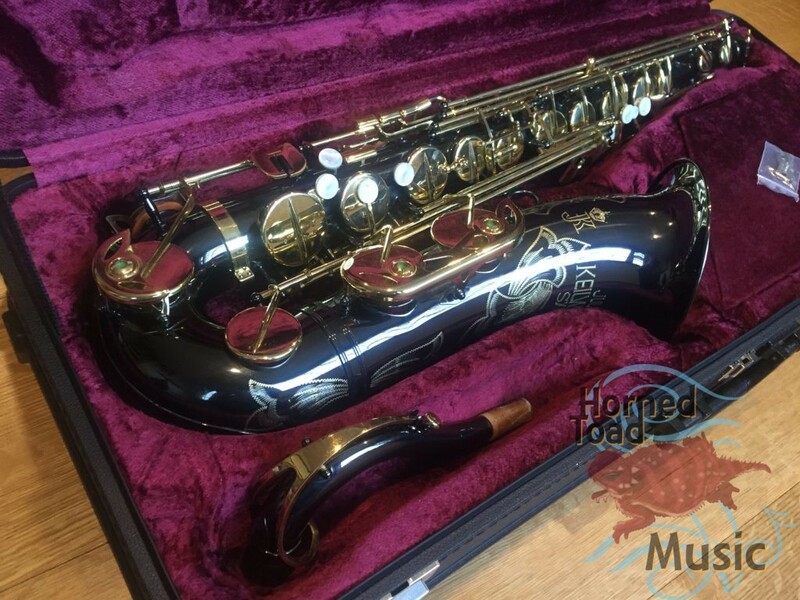 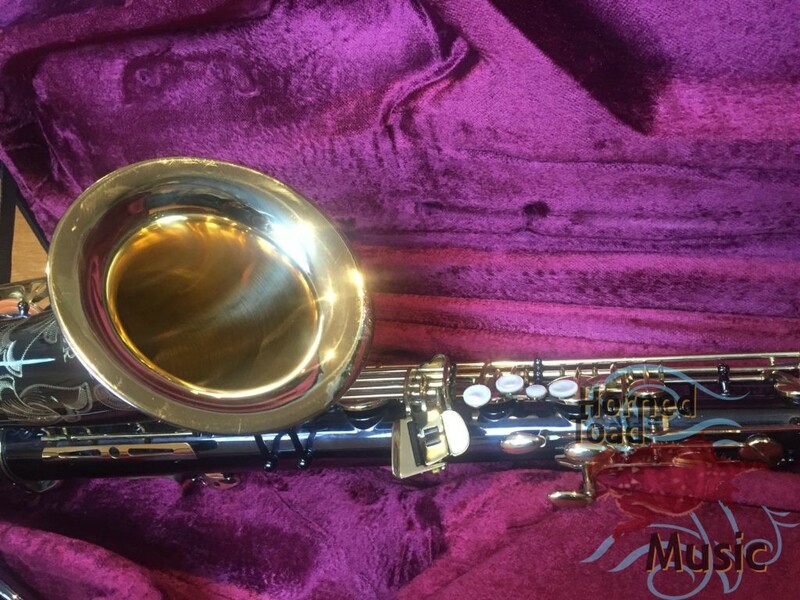 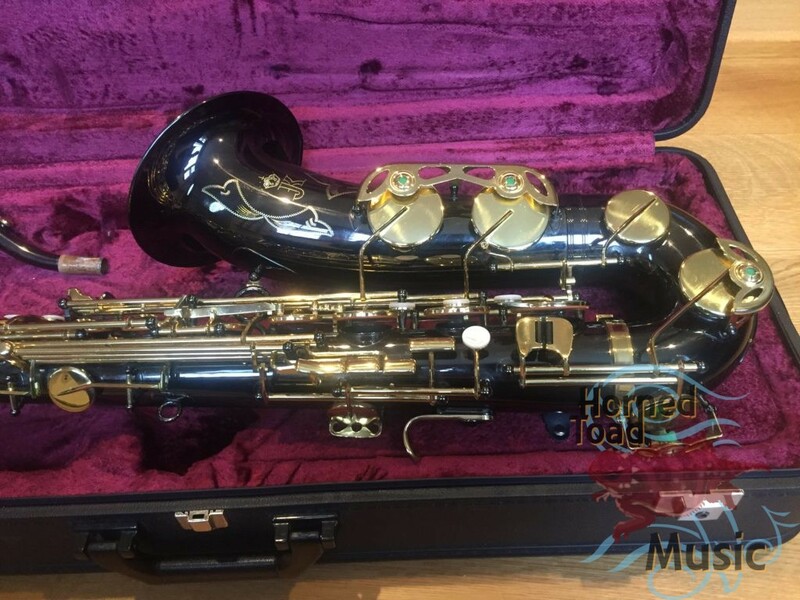 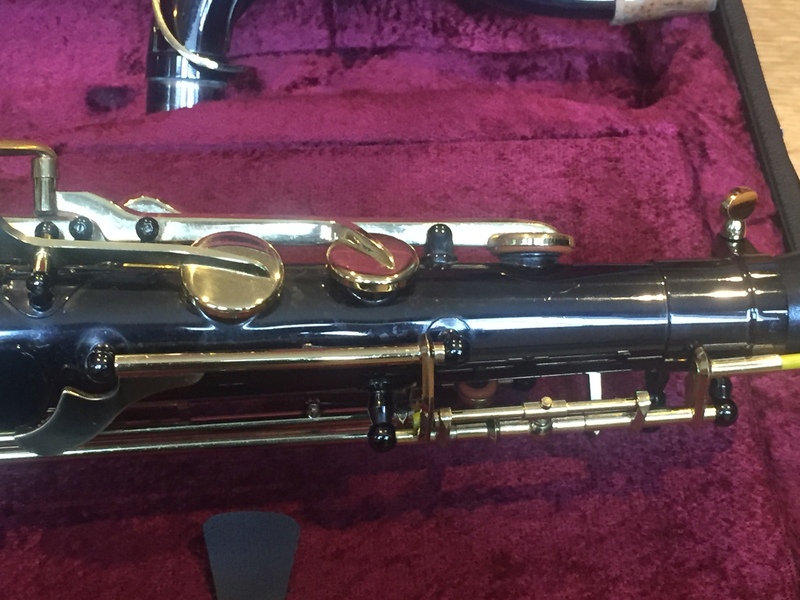 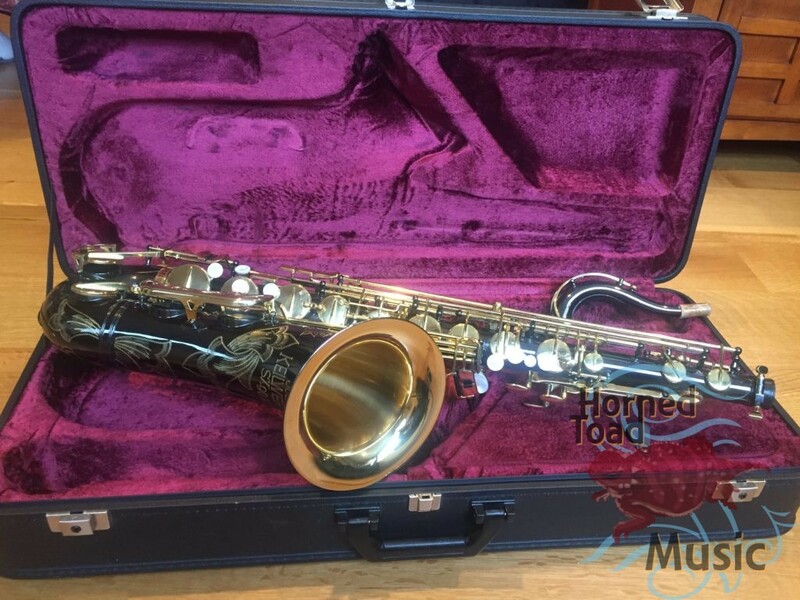 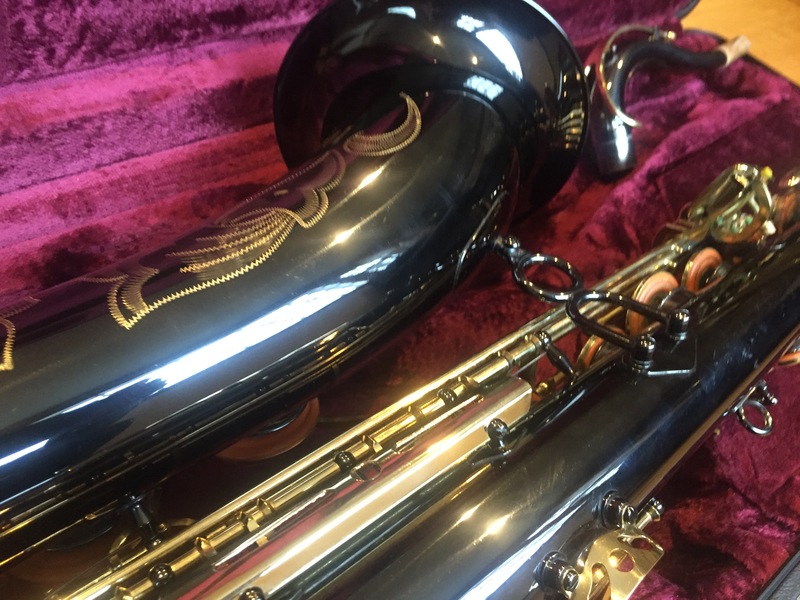 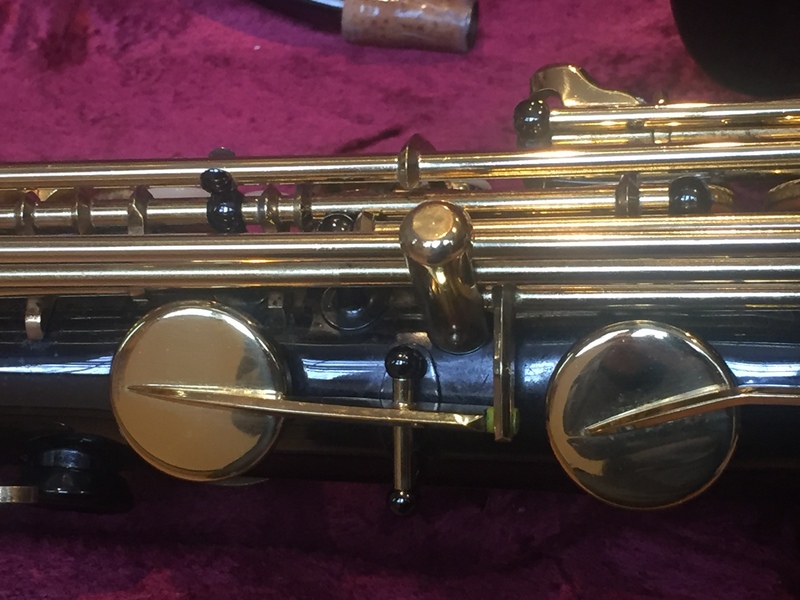 I have been told this is the early model that is very sought after with the large bell, as preferred by people such as Kirk Whalum and others. 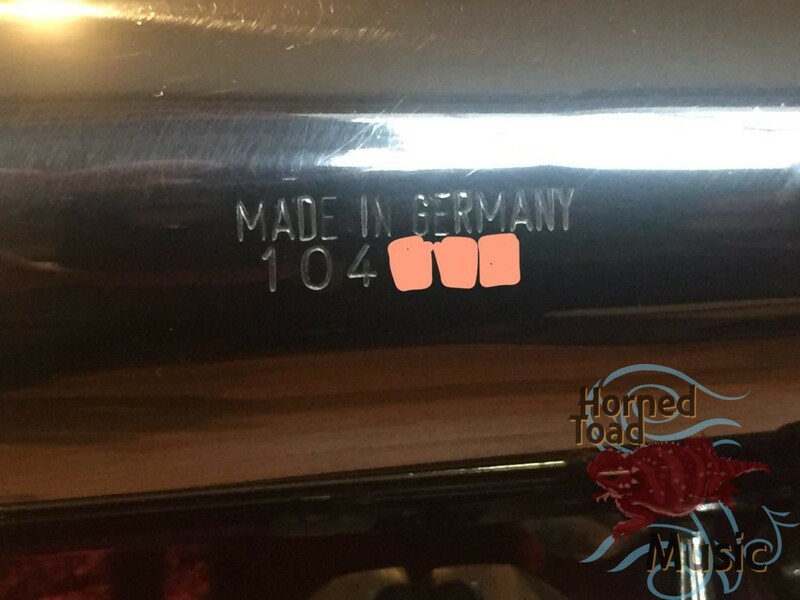 This is THAT specific model, having a serial number of 104xxx. 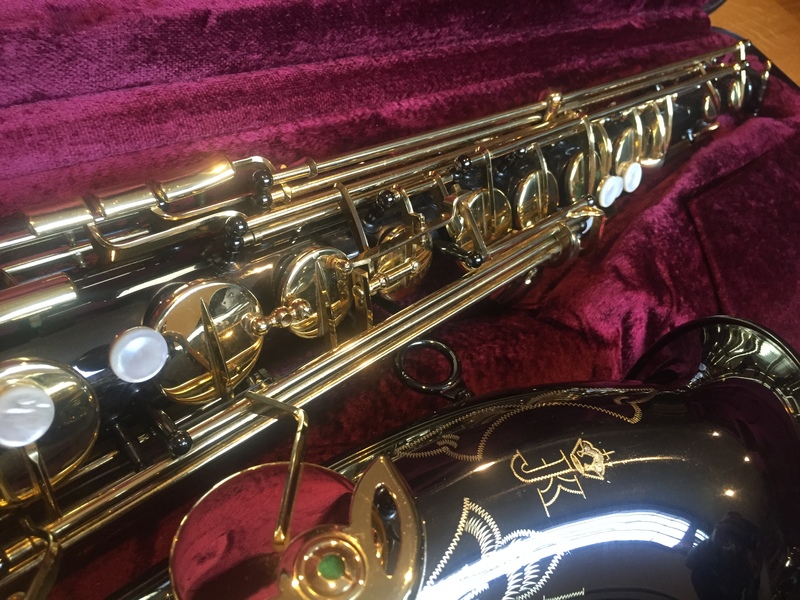 it is extremely FUN to play and ready for anything. 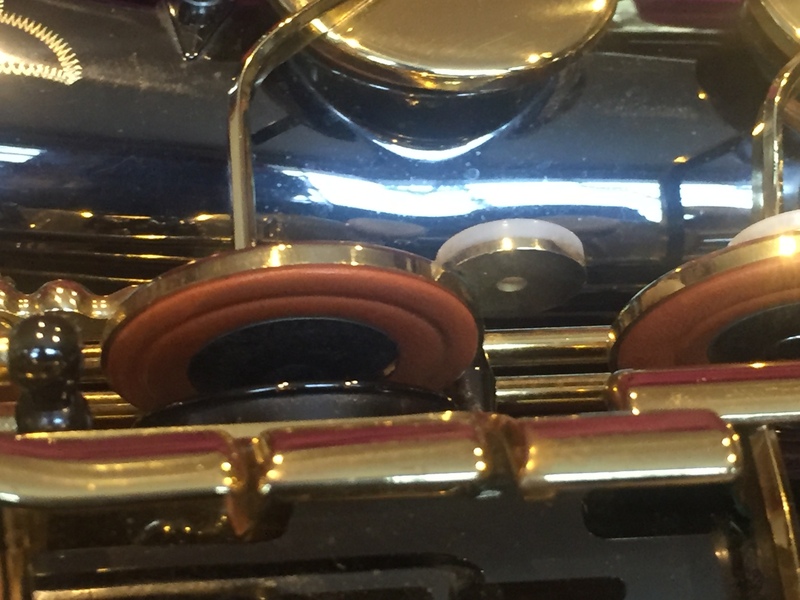 It is very addictive.